We are on the brink of Callery pear bloom in early April. Our roadsides and abandoned fields will soon explode into a sea of white blossoms. This may look “pretty”, but if you understand ecology and the impact these aggressive trees have on our ecosystem, you are more likely to feel anger than see attractiveness. Pyrus calleryana ‘Bradford’, the first Callery pear cultivar, has a weak branch structure with V-shaped branch angles that split after 15 to 20 years of growth. Narrow branch angles prompted the breeding and release of many more cultivars such as ‘Cleveland Select’, ’Chanticleer’ and ‘Aristocrat’. 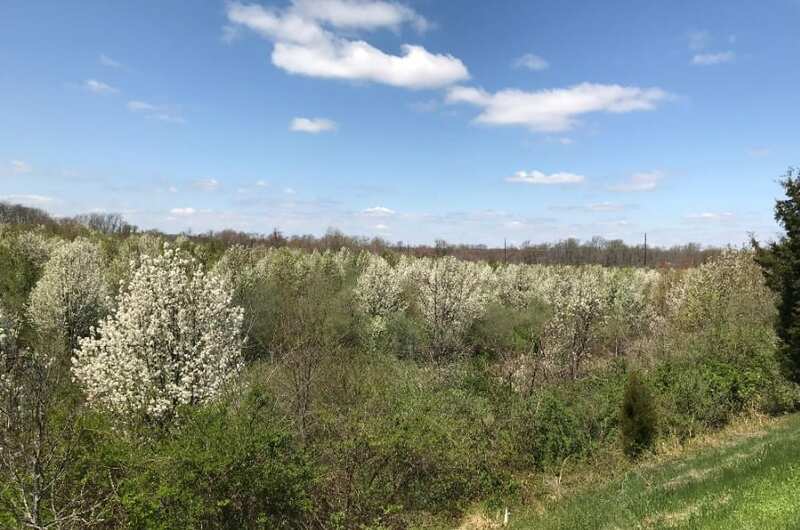 In the past, Bradford pear was almost sterile and produced only a few fruits, but with so many newer cultivars in the landscape, they can now cross pollinate and produce an abundance of fruit. Fruit are small and inedible but are carried by birds who drop seed in roadside ditches, easements and natural areas. 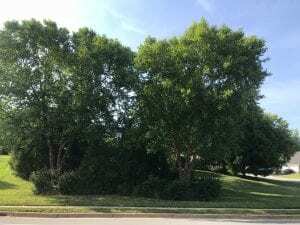 Many of these invasive flowering pears have thorns and aggressively choke out native trees, like serviceberry that once bloomed along wood edges in early spring. Do not plant Callery pears and consider removing and replacing any growing on your property with a native small flowering tree, such as dogwood, fringe tree, serviceberry, or redbud. 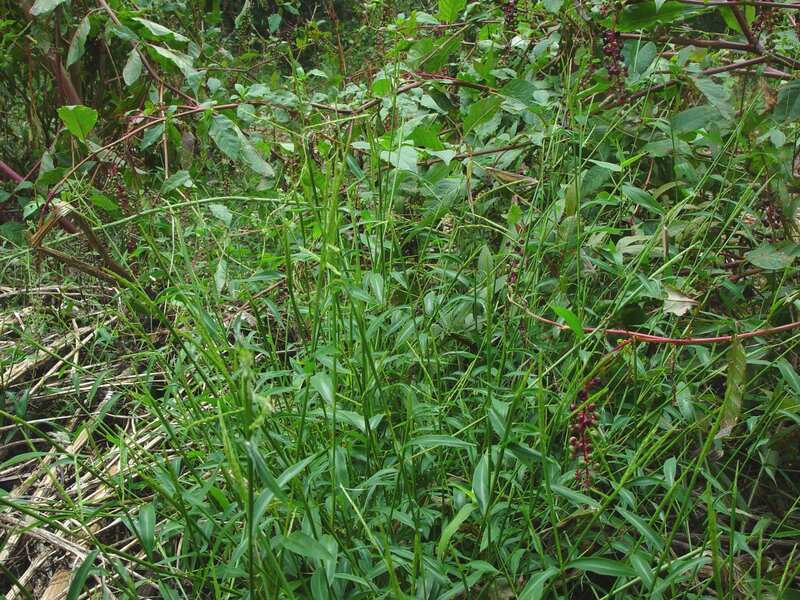 Japanese stilt grass (Microstegium vimineum) is another problem plant in our region. 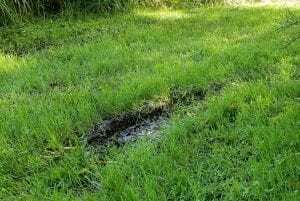 It is an annual grass that has become the default groundcover for roadsides, much of our wood edges and even established woodlands. It thrives in shady sites but will also grow in the sun. 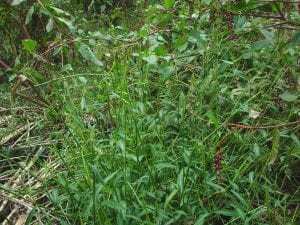 Japanese stilt grass germinates in the spring, about two weeks before crabgrass, but doesn’t flower and produce seed until early fall. It is a sprawling grass that roots at the nodes and can completely cover other low growing plants. Our first opportunity for control is to treat known areas of stilt grass with a preemergent herbicide, much like we control crabgrass. The difference is that when we control stilt grass, the herbicide should be applied two weeks earlier than for crabgrass control. You can also control Japanese stilt grass by mowing it in September as it starts to flower but before seeds ripen. You can prevent a new crop of seeds from developing and growing the following year. The trouble with this strategy is there is so much stilt grass seed around that seed can easily blow into an area you have mowed. Stilt grass is easy to pull, so it can be removed from landscape beds, but that strategy isn’t practical for the lawn or large areas of roadsides or woodlands. Work has begun on biological control (Japanese stilt grass is kept in check with insect pests in its native regions) but beneficial insect release is many years away. These are just two examples of invasive plants that are changing the environment in which we live. Think long and hard before planting a known invasive plant in your landscape and consider removing the ones you already have. For a list of plants on the Delaware Invasive Species List, visit https://www.invasive.org/species/list.cfm?id=90. Invasive pears along Delaware’s roadside. Close up of Japanese stilt grass flowering in the fall. Every year the Delaware Nursery and Landscape Association selects an herbaceous plant (usually a perennial that dies back to the ground each winter) and a woody plant (usually a tree or a shrub) to designate as Plants of the Year. Plants are selected that will thrive in Delaware’s conditions and that have few disease and insect problems. If sited properly, these plants are guaranteed to succeed. 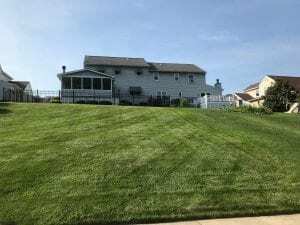 These plants are often underused in the Delaware landscape. So, if you purchase one of these plants, you will be a trendsetter in your neighborhood. The 2019 selections were just announced at the Delaware Horticulture Industry Expo in Dover. Common ninebark is an excellent native shrub for year-round interest. 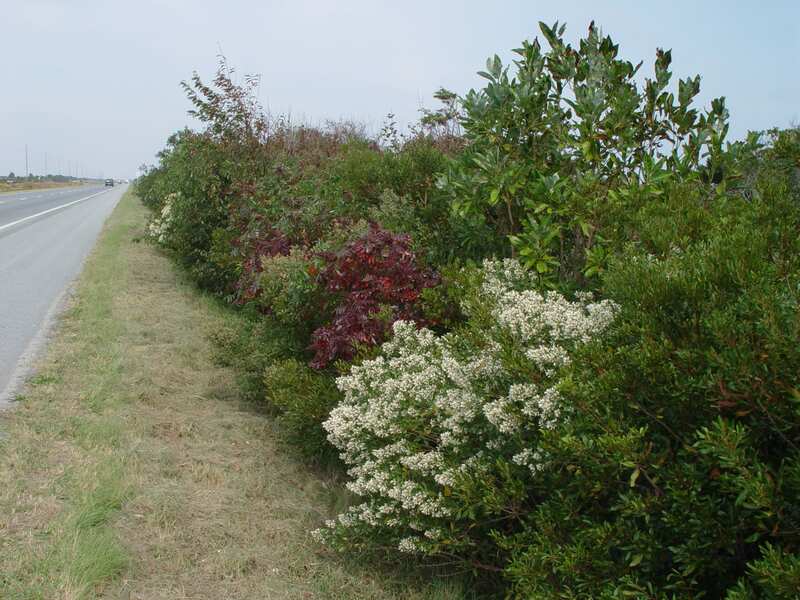 White flowers appear in dense, spirea-like clusters in spring, and give way to clusters of reddish-pink capsules. The clusters eventually turn brown and persist into the winter. The leaves are yellow in the fall. Named for its unusual bark which peels in strips to reveal several layers of reddish to light brown inner bark, ninebark is a popular ‘winter interest’ shrub. Arching branches give this shrub as mounded habit and in groups it makes an excellent hedge and provides good erosion control. Bees are frequent pollinators of ninebark. Ninebark grows in full sun to partial shade and has few disease or insect problems. 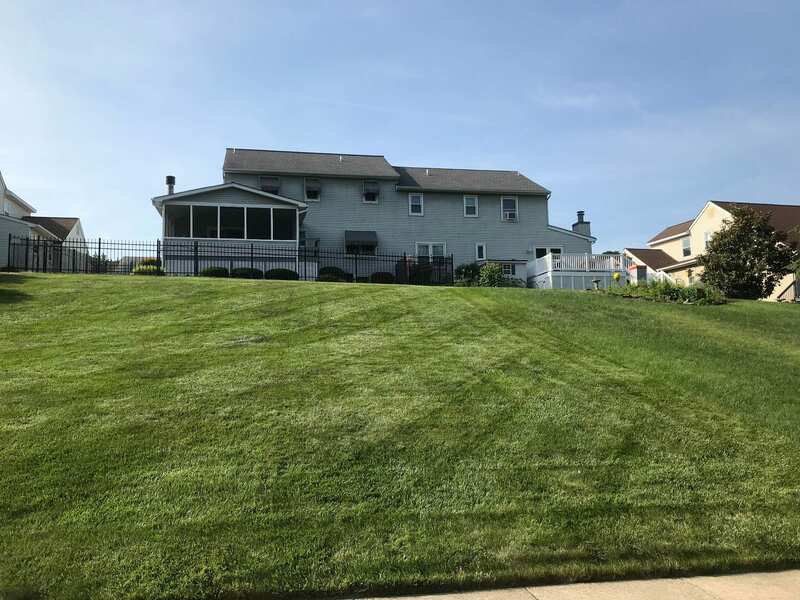 It can be cut back to the ground in late fall for complete rejuvenation. Packera aurea has the unfortunate common name of golden ragwort. It is none-the-less a vigorous and useful native perennial that thrives in moist shady (or sunny) locations, naturalizes rapidly and produces a long and profuse spring bloom. 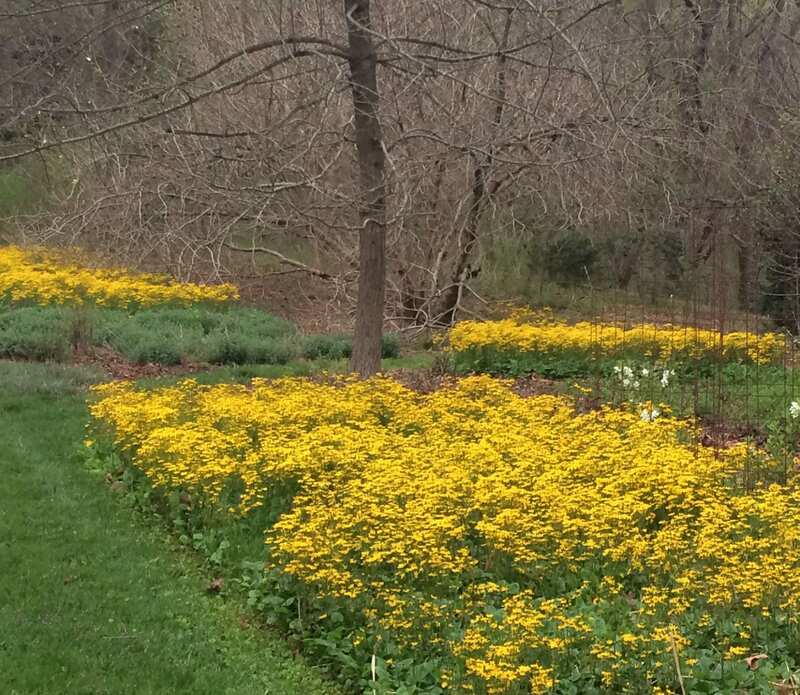 Flat-topped clusters (corymbs) of yellow, daisy-like flowers create blankets of yellow in the early spring landscape. Once it flowers, it is best to cut off the spent flower heads, so you can enjoy the dense groundcover of heart-shaped, toothed, dark green leaves that often have a purplish tinge beneath. Synonymous with and still frequently sold as Senecio aureus. Visit a garden center in Delaware this spring and pick up one or more of these great plants for your garden! Golden ragwort makes a carpet of yellow in the spring landscape. Now that the leaves have fallen, it is time to pick up your pruning shears, loppers and pruning saws. The best time to prune trees and shrubs is when they are dormant. You can easily see branches to determine which to prune and plants have stored food in their roots, stems and branches so they will not re-sprout from pruning cuts now. Prune trees when they are young for several years to establish an appropriate shape and you won’t need to continue pruning as they age. Pruning is truly and art and a science. Prune to shape trees and shrubs to grow in their natural habit, but also prune properly to avoid spreading decay throughout the plant. There are two important pieces of information to remember about the way trees grow. First, branch tissue and trunk tissue are separate. Second, trees never heal, but then can compartmentalize and seal wounds. They seal wounds by growing callus tissue around the cut. Decay spreads most easily vertically in a tree, so it is critical to cut only branch tissue and not allow decay to enter the trunk. When cutting a branch, always prune outside the branch collar (swollen area at the base of a branch). Never cut flush with the trunk as you will be cutting into trunk tissue and opening the tree for spreading decay. Forget about using a wound dressing, they only inhibit the tree’s natural callus response to a pruned branch. Start by pruning any dead, dying or diseased branches. These branches can be pruned at any time of year. Next, look for rubbing or crossing branches. Rubbing branches may create a wound that will be open for insect and fungal entry. Crossing branches can eventually become rubbing branches as they grow. Remove branches that are growing back into the center of the tree and keep branches growing outward. Finally, remove water sprouts and root suckers. Use the appropriate tool for the job. Pruning shears are handy but shouldn’t be used on branches larger than ½ inch in diameter. Lopping shears give you more leverage and can prune slightly larger branches. For branches greater than ¾ – 1 inch, switch to a pruning saw. Pole pruners can be used to prune branches that are too high to reach but be careful of overhead wires when using pole pruners. If branches are large, use three pruning cuts to prevent the weight of the branch from peeling back bark and allowing the wound to enter trunk tissue. Start by undercutting the branch about 4-5 inches away from the trunk. Then saw through the entire branch outside that undercut, removing most of the weight of the branch. Make your final cut just outside the branch collar. Hedge clippers should only be used for pruning shrubs maintained as a formal hedge. Always prune the top narrower than the base to light reaches all the branches of the hedge. There is no shrub that should be pruned into a ball, despite what you see in the landscape around you! Prune individual shrub branches just above a node or bud to reduce the size and maintain natural shape. Some shrubs respond well to rejuvenation pruning. 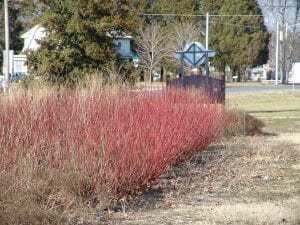 Redtwig dogwood, for example, can be cut back to 4-6 inches above the ground and allowed to regrow new branches that will be vigorous and more brightly colored. When you want to encourage new growth, prune late in the winter just before growth starts. If your goal is to reduce plant size, prune in the summer when most of the plant’s resources are depleted. For blooming shrubs, prune after the shrub flowers. Some shrubs bloom on new wood and will respond well to a dramatic pruning. Other shrubs bloom on old wood and removing too many branches will dramatically reduce flowering. 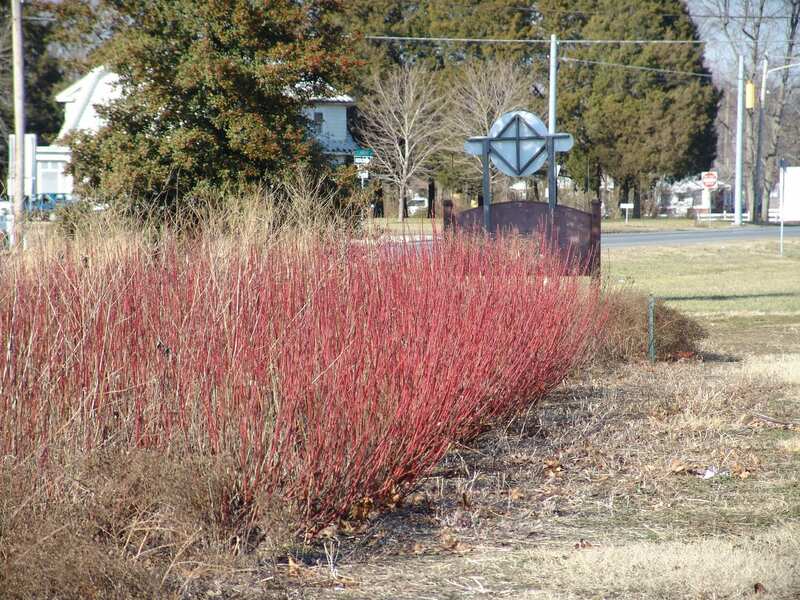 Red twig dogwood responds well to rejuvenation pruning and will grow bright red new twigs for the following winter. For more information about horticulture in Delaware follow me on Instagram at sbartonhort. 2018 has been a tough year so far for plants. A tally of monthly data from DEOS (the Delaware Environmental Observation System) indicates most areas in the state are already over the average yearly rainfall (41 inches of rain per year in Delaware) and we are only three quarters of the way through the year! We were 5-10 inches ahead in May depending on the location in the state. Planting and plant growth were delayed this spring due to cold and wet soils. Temperatures increased in June and July, but rainfall amounts were still above average. We had about 47 rainy days out of 100 this summer. That is unpleasant for us humans, but it is also really bad for plants. We also had a two-week dry period in early July with high temperatures that resulted in stressful dry conditions. All this rain led to saturated soils. Soils are comprised of minerals (sand, silt or clay), organic matter (decaying plants and animals), and some combination of air and water. Soils with good structure have equal parts air and water leading to healthy plants. Clay soils tend to have small pore spaces resulting in more water than air. When clay soils receive excess rain, the percentage of air decreases and water increases even further. Plants need both oxygen and water for growth. When roots sit in water logged soil the result will be poor root development and plant health problems, especially with newly transplanted trees and shrubs. Low lying and wet areas are conducive to root rot microbes. Regular rain also results in a constant coating of moisture on the leaves, which encourages the spread of diseases. So, we have had a summer of many plant diseases from root rots to leaf spots and everything in between. Let’s talk vegetable gardens. Most got off to a slow start with poor seed germination due to waterlogged seedbeds. The constant film of water on leaves meant more leaf diseases than normal. Tomatoes really struggled and the tomatoes we did harvest were watery and less flavorful. The only plants that grew well in my vegetable garden this summer were the weeds! Plants are most susceptible to excess water when they are actively growing. Root tips begin to die within a few days of waterlogging. Shallow root systems develop that have a limited ability to take up nutrients (particularly nitrogen) and water. It is ironic that excess water can cause plants to exhibit symptoms of drought stress. There is plenty of water, but a lack of healthy roots to take the water to plant leaves, so wilting occurs. Nitrogen is lost from waterlogged soils by leaching and denitrification (nitrogen lost as a gas to the air). These losses combined with less ability to absorb nutrients due to compromised roots systems may cause older leaves to yellow. Even plants that normally fix their own nitrogen (peas and other legumes) are impacted by waterlogged soils. What does this mean for landscapes this fall and in the future? Be careful with trees in saturated soils. Trees with compromised root systems may fall over with strong wind gusts. Prune or remove dead or damaged trees near homes and buildings. My sister thought she heard gunshots and then fireworks as a tree fell on her property in August. I heard “fireworks” in the woods behind my home about a week ago only to find a fallen tree the next day. Unfortunately, the effects of this bad weather summer may be with us for a while. Plants take time to grow new roots. If fall dries up a bit, we may get some root recovery since fall is a good time for root growth in most plants. But, evergreens do not grow roots in the fall, so they will really suffer next year. It is possible newly planted or stressed trees and shrubs may die as they try to leaf out next spring. Hopefully, we can chalk this growing season up as an anomaly and expect better growing conditions next year. Look at it as an opportunity to replace plants that die with native species that promote wildlife and a regional sense of place. For more information about horticulture in Delaware follow me on Instagram at sbartonhort. 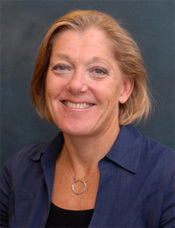 For information about plant health follow Nancy Gregory at http://extension.udel.edu/ag/hot-topics-plant-disease/. One of the many problems plants encounter in the landscape is salt damage. The two major problems are saline soils and salt spray. 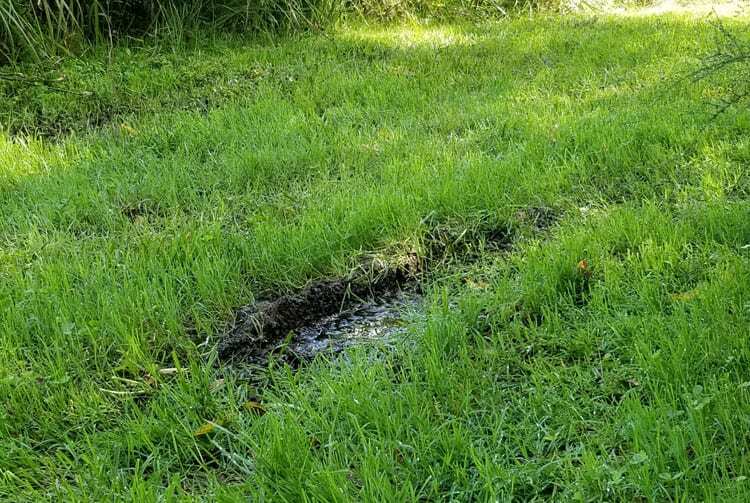 Saline soils are a general problem with less than 20 inches of rainfall per year, but Delaware gets 43 inches of rain per year, so why are we concerned? While we do not have saline soils throughout the state, we can have specific site problems such as coastlines with seawater over wash or salt accumulation in the soil from salt spray. Flooding from brackish tidal rivers and estuaries happens in wooded wetlands. Sidewalks and roads where deicing salts are used may have soil affected within 30 to 50 feet of the roadway. Over application of fertilizer (especially animal manures), irrigation with high salt water and high ground water tables can also cause specific site problems. High salt soils cause plant injury because plant membranes allow water to pass through but prevent salt from entering the plant. Lots of salt makes it hard for water to pass through the membrane. Especially high salt may even draw water out of root cells. Salt also changes soil structure. It binds with clay soils and causes compaction resulting in less room for water and air in the soil. Seedlings and young transplants are more sensitive. The amount, duration and concentration of exposure to salt matter and damage is more severe during dry weather. Saline soil injury to plants will show up as stunted growth, dead leaves, dead areas on leaf edges, early fall color or leaf drop and buds that fail to open. How do you know how much salt is present in the soil? One strategy is to look for injury in plants. You can also take a soil test and anything greater than 2000 ppm is a problem. Plants injury can also be due to salt spray. Waves break and throw tiny droplets of salt water into the air. Salt laden water droplets land on leaves. When droplets evaporate, sodium and chlorine ions penetrate stems, buds and leaves, causing injury. Symptoms of salt spray injury include bud death and twig dieback producing a witch’s broom appearance to the branches. Leaf burn or scorch on foliage can also occur. Sometimes there is even a white residue on leaves once water evaporates. With salt spray damage, the plant injury is usually on one side of the plant—the side facing the roadway or ocean. Why are we talking about salt injury in August? This seems more like a winter problem, right? The reason to think about salt injury now is that selecting tolerant plants for landscape situations prone to high salts is the best method of preventing injury and we are coming up to the best planting time of the year—fall. Fall is good for planting because we normally get adequate rainfall (certainly not an issue this year, but…); plants tend to grow roots in the fall, so they become established more quickly; and the weather gets cooler throughout the fall providing great conditions for growth. Evergreens are the exception because they do not grow roots in the fall, but most other plants establish quickly when planted in the fall, giving them a great start for the spring growing season. So, what makes a plant salt tolerant? Salt tolerance is the ability of plants to grow and complete their life cycle in substrates with a high concentration of soluble salts. These plants are called “halophytes.” There are several different mechanisms of tolerance. Plants use avoidance to keep salt ions away from the parts of the plant they might harm. Salt exclusion means filtering salt at the root membrane, allowing water in, but keeping salt out. Red mangroves use this method of salt avoidance. Salt excretion involves removing salt into glands, bladders or though leaf cuticles. Tamarix secretes salt through its leaf cuticle. Succulent plants use salt dilution. By having plenty of water in the leaf, they dilute the salt content. High salts are compartmentalized in plants. Groundsel bush, a common beach and roadside plant in Delaware, has vacuoles (large open structures between leaf cells) filled with salt. Some plants have biochemical mechanisms that allow them to tolerate salt. To reduce salt injury from salt saturated soils, improve soil structure by adding organic matter to soils exposed to salt. Leach the soil with irrigation, applying two inches of water over a two to three hour period. If runoff occurs, repeat in three days. Always irrigate thoroughly, rather than lightly. Mulch to reduce evaporation. Fertilize only as needed and keep plants healthy to reduce stress. If you have control over de-icing, use cinders, fly ash or sand, rather than salt. For salt injury caused by salt spray, design sites with windbreaks to prevent salt spray from hitting plants or use salt tolerant plants as windbreaks. Rinse salt spray off plants after a storm that might have caused excessive spray. If salty soil or salt spray is a problem for your landscape, select salt tolerant plants for planting this fall. Here are two good references that list many salt tolerant plants. Highly tolerant large trees include southern magnolia and willow oak. For smaller trees, use Japanese black pine. Highly tolerant shrubs include groundsel bush, wax myrtle and yucca. Lyme grass and muhly grass are both highly salt tolerant. Blanket flower and daylily are flowering perennials with high salt tolerance. There are many more moderately tolerant trees, shrubs and perennials on the referenced lists.